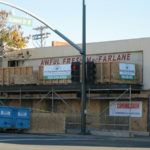 Newcomers may only know the boxy two-story building on the southeast corner of Ray Street and University Avenue as the former location of Wang’s North Park. Residents who have been here longer may remember Big Lots occupying that building during the early 2000s and REI before then. But the building we see today at 3029 University Ave. originated in 1942 as a J.C. Penney department store. 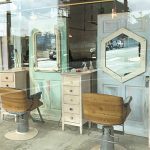 It anchored retail in North Park into the 1980s and drew other major chain stores, including National Dollar Stores, Lerner Shops, Kay Jewelers, Woolworths and Thrifty Drug Stores to the busy commercial area along University Avenue. 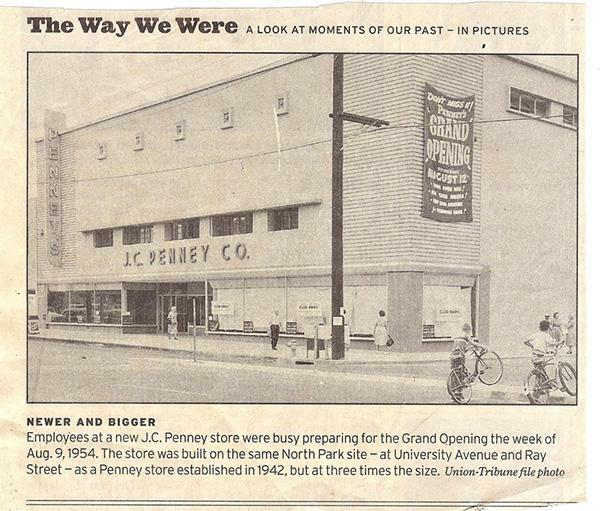 The first J.C. Penney store at Ray Street and University Avenue was one of only two built by the company during World War II. 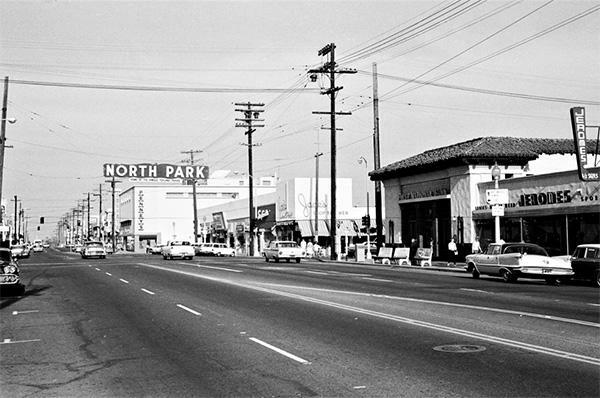 The North Park store apparently was successful even during the war years, and the company decided to expand it in 1954, replacing it with the building seen today. The J.C. Penney Co. started with one hard-working businessman, James Cash Penney. He was born Sept. 16, 1875 on a farm near Hamilton, Missouri. He worked for a local retailer after graduating from high school. He partnered with Thomas Callahan and Guy Johnson, who owned dry-goods stores called Golden Rule in Colorado and Wyoming, and moved to Kemmerer, Wyoming in 1902 to open a store in that small coal-mining town. 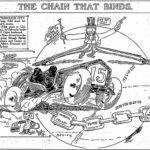 He participated in the creation of two more stores and purchased full interest in all three locations when Callahan and Johnson dissolved their partnership in 1907. By 1941, Penney operated 1,600 stores in all 48 states. He retired in 1946, taking the title of honorary chairman. Penney died in New York City on Feb. 12, 1971, at the age of 95. The Kemmerer, Wyoming store and associated buildings were designated a U.S. National Historic Landmark in 1978 because they show the humble origins of the J.C. Penney Co., and because it was there that Penney formulated the merchandising ideas that enabled him to create the first truly nationwide department store chain. Penney commented that his company “is the finest example I know of cooperative effort; people sharing in what they helped create have made it what it is.” The same could be said of North Park. 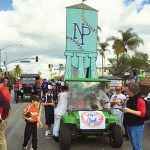 — Katherine Hon is the secretary of the North Park Historical Society. 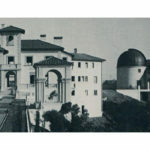 Reach her at info@northparkhistory.org or 619-294-8990.